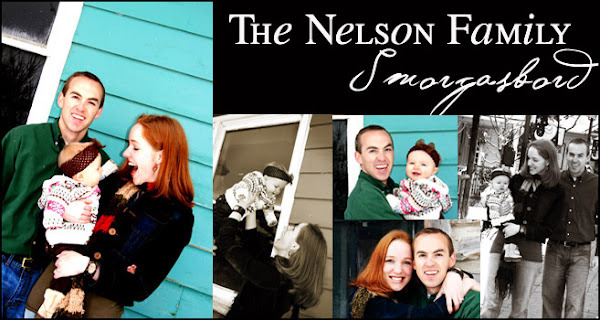 The Nelson Family Smorgasbord: Charly! You may have already seen this, but I literally cried TEARS from laughing so hard!...This is a little British family on YouTube....Now we can't say "Charly" without reenacting this whole scene!! The funniest is the "reenactment" of these two guys who quite obviously had a LOT of time on their hands! ENJOY! I'm so glad you posted these too. The world needs more Charly videos. Kristin, we saw this a few months ago and we LOVE it. Lizzy and even Andrew quote it ALL the time. With the accent and all. It's so funny. Sorry...it's taken me forever to respond. About the money...I just put a ziploc bag of money inside another bag filled with water and stuck it in the freezer. Pretty easy. Happy birthday to Jordan. OH YEAH!!! I'm so glad you made it through the week!!! or two!!! If you would like I can take Charly tomorrow! I'm taking my kids to the park so she might enjoy being outside! I did try out for deal or no deal!! I'll past the blog! I'm pretty sure I'm not on!! But it was an amazing experience! !